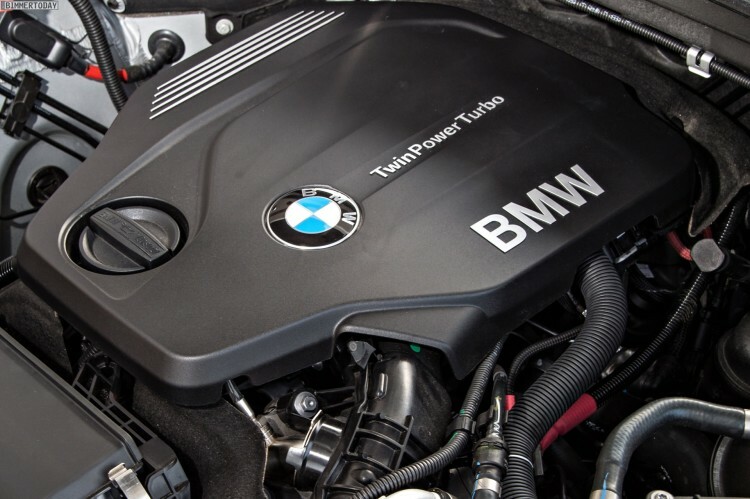 The new BMW modular engines were introduced one-by-one in the lineup and can be seen, or heard, in several BMW models. With a combination of three and four-cylinder units, the new B3x and B4x engine family powers a wide range of vehicles, from the new MINI to the upcoming BMW 2 Series Active Tourer. Furthermore, the new BMW 2 Series Active Tourer F45 which launches in September will exclusively use engines from the new engine family, which can be built independently of the number of cylinders and combustion principle on the same band. The BMW modular motors are suitable for both longitudinal and for transverse installation, so can be used with front-wheel drive and in the large BMW series of rear wheel drive, as well as in the smaller vehicles of the BMW Group. Incidentally, even the new BMW i8 uses a three-cylinder petrol engine (B38) transversely mounted and with 231 hp. Another engine debut in the BMW 2 Series Active Tourer is the B37 three-cylinder diesel which will power the 216d Active Tourer model. The 116-hp diesel unit with 1.5 liters of displacement was first previewed two years ago in an experimental 1 Series Hatchback and the so-called “baby-six” has impressed us during the short drive. 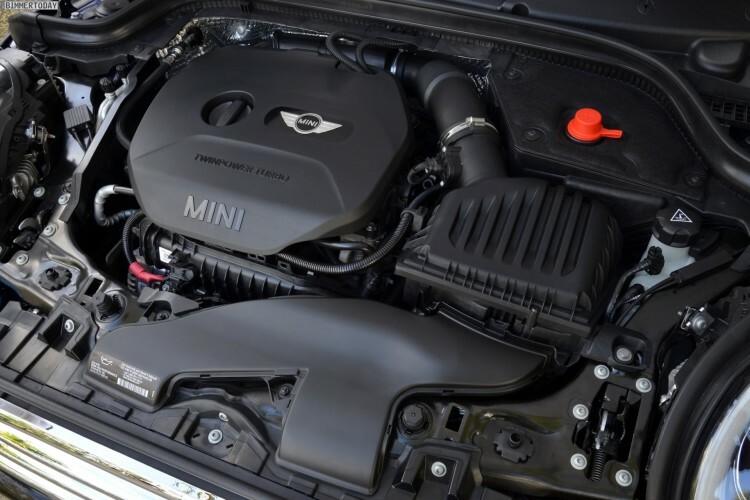 Also used in the MINI Cooper D, the small but potent engine will deliver a standard fuel consumption of 3.8 to 3.9 liters – equivalent to CO2 emissions 99-104 grams. Moving up in the range, the 218d Active Tourer receives the new four-cylinder diesel BMW B47 in its 150-hp stage. With 4.1 to 4.3 liters fuel consumption, this engine hardly consumes more than the weaker three-cylinder. The most powerful diesel 2 Series Active Tourer, BMW 220d Active Tourer, comes with the 190-hp expansion stage of the B47. Fuel consumption is rated at an astonishing 4.4 to 4.6 liters. Both B47 variants will also come in the new MINI models as well as in models with the xDrive system. In the gasoline range, the entry level is the 136 hp BMW 218i Active Tourer which uses the three-cylinder petrol engine (B38) also found in the new MINI Cooper. The EU consumption in this case is 4.9 to 5.2 liters per 100 kilometers. In November, the BMW 220i Active Tourer will arrive as well with its B48 motor producing 192 hp. This engine is also used in MINI Cooper S F56 and is rated at 6.0 to 6.1 liters per 100 kilometers. Customers looking for even more power for their front-wheel drive BMWs will have the choice to opt in for the 225i Active Tourer with a more powerful B48 variant: 231 hp and up to 350 Nm of torque. In the case of the BMW 2er F45 225i, the engine is always combined with the automatic transmission, and on request, the xDrive traction can be picked as well. Depending on the configuration, the standard consumption is 5.8 to 6.6 liter per 100 kilometers. The extensive range of new BMW modular engines will continue to expand in the lineup, so we expect in the future a wide range of vehicles, from the 1 Series to the 6 Series, to be powered by them. 2016 BMW 730Li with a 2.0 liter turbo four-cylinder heading to China?